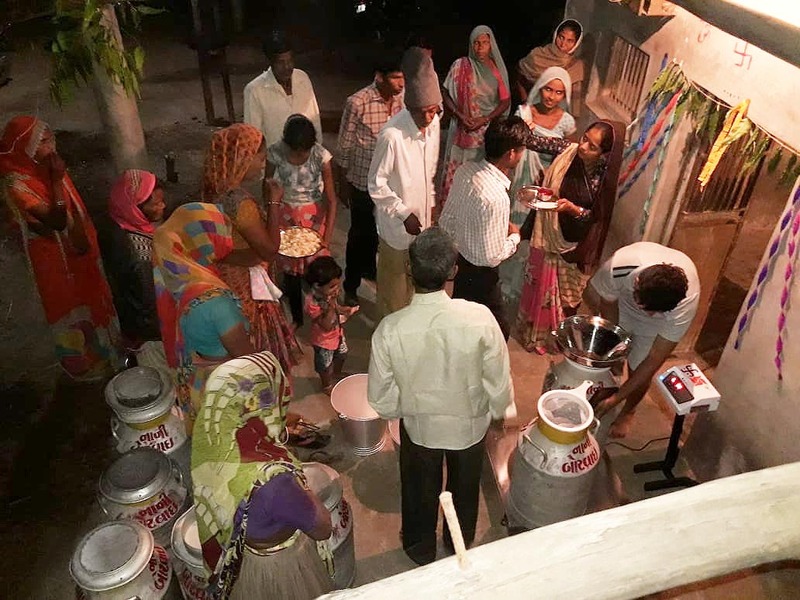 A new milk collection unit started in collaboration with Amul Dairy on 21st of October in Nani Borvai village, Gujarat. A committee of ten women was formed to run the process of collecting the milk twice every day. 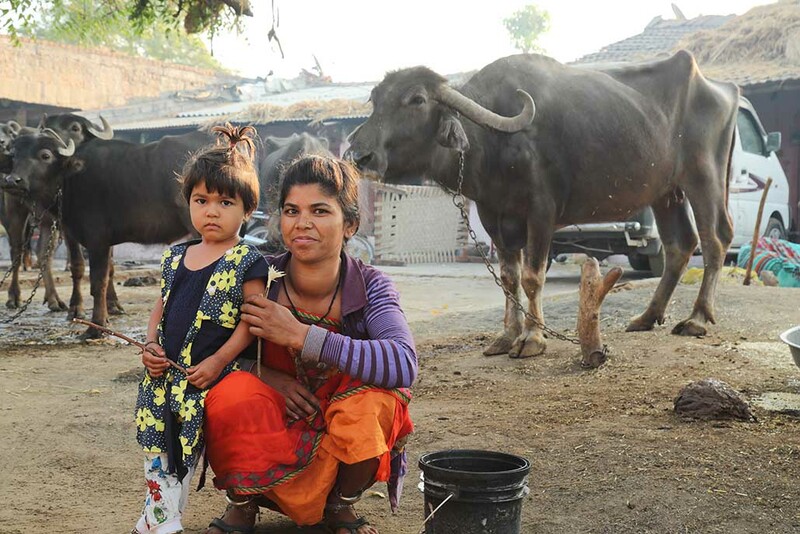 With more than 300 buffalos and 75 cows, animal husbandry and farming is the major source of income in this village. To proceed with forming a milk collection centre, Amrita SeRVe’s agriculture program manager Sreeni KR arranged a meeting with Amul Dairy in Ahmedabad. A delegation from Nani Borvai visited Amul Dairy and had a successful discussion with managing director M.R.R.S. Sodhi. Before Sreeni leaving the village, an action plan was laid down. More than 80 families are joined in this milk collection society. More meetings and visits followed. 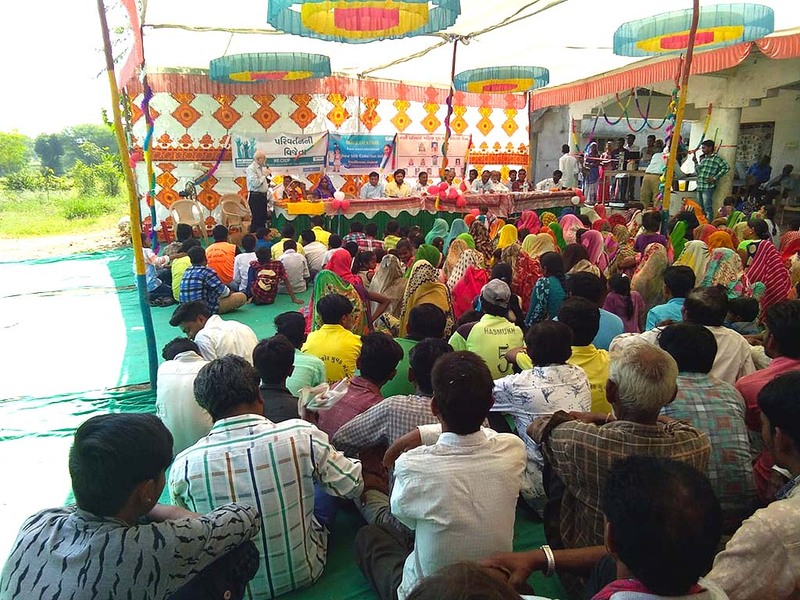 In August, an Amul representative came to Nani Borvai to meet with the villagers. During the period of negotiations, Amrita SeRVe village coordinator Seema Ben and AMMACHI Labs zonal coordinator Praveen Parmar encouraged and inspired the women to get involved in this endeavor. Later in September a joint bank account was opened. In October a house nearby village coordinator Seema Ben was prepared as a collection center. With the lead of AMMACHI Labs community organizer Meenal, the preparations of the inauguration ceremony were organized together with all the local Amrita staff. More than 150 villagers celebrated the inauguration last Friday. The buffalo milk contains more fat that increases the price per liter. On arrival at the collection unit, the milk is weighed and tested. The average price per liter of buffalo milk is 40 rupees. The data is entered on the spot to an online register provided by Amul. The milk producers get their payment twice a month in a joint account. Esteemed guests of the inauguration celebration: Shri. Rajender Singh, MLA Modasa; Shri. Bhavan Dayal Jala, MLA; Shri. Himanshu Patel, Senior Administration Manager; Shri. M.N. Patel, Director of Sabar Dairy; Shri. Kanubhai, Dhansura Thasil Pramukh; Shri. Ramsingh Thakur, Taluk Pramuk; Shri. Sanjay Singh Jala, Zila Taluk Pramuk; Shri. Sanjay Desai, Jamatha Gram Sarpanch; Shri. Suryaban Singh, Wadagam Gram Sarpanch, Nitaben Desai, Shri. S.K.R. Nair; Shri. Sanjay Shah and Shri. Ravi Kalantre.